The vision of Indiana University South Bend is to be recognized as a premier regional, comprehensive master’s institution that is committed to exceptional teaching and scholarship, strong curricula and programs, and that values inquiry, creativity, and innovation at all levels. Donors like you who give to IU South Bend are helping to achieve that vision. Your gift to a scholarship fund, research project, lecture series, or construction efforts can help us grow, educate, and inspire future generations of business leaders, health care professionals, teachers, scholars, and artists. Please give today. Your gift to the IU South Bend Chancellor’s Fund provides discretionary funding for critical needs that advance the mission and vision of the campus. Gifts to the General Scholarship Fund keep deserving students enrolled and on track. All gifts to IU South Bend help the university to fulfill its promise of a brighter, stronger, and sustainable future for all who enroll and graduate. Your gift to the School of Education helps us to engage the greater community to develop lifelong learners who embody the traits necessary to become exemplary educators, counselors, and leaders in increasingly diverse contexts. The vision for the Vera Z. Dwyer College of Health Sciences is that each school within the college will be recognized as a leader in the provision of care/services and as the source of continuing education in health care. The college would be viewed not only as the sole public provider of education in the geographic area, but each will be recognized for excellence. The South Bend region faces worker shortages in all health care disciplines. The Judd Leighton School of Business and Economics undergraduate and master’s programs prepare students for successful careers in business. The quality of the Leighton School’s programs are demonstrated through graduates’ regular performance in the top 10 percent among universities across the nation on standardized exams that measure business knowledge, its ranking as 68th best part-time MBA program in the nation and 15th best in the Midwest by Bloomberg Businessweek, its ranking by The Princeton Review as an "Outstanding Business School" for eight consecutive years, and its accreditation by AACSB International, an achievement only five percent of business schools worldwide have attained. Your gift to the Ernestine M. Raclin School of the Arts will help the school advance its mission to develop engaged citizens with exceptional abilities in the arts. Charitable gifts help support things like student scholarships, and hundreds of thrilling exhibits, performances, lectures and discussions each year provided to the community at free or reduced cost. Philanthropy provides much-needed funding for musical instruments, visual art and multimedia equipment, and modern facilities for the creation and presentation of great art and other needs of the program. Your support of the Raclin School not only changes students’ lives, it enhances the quality of life in our community. Your gift ensures that the Franklin D. Schurz Library and Wiekamp Educational Resource Commons continue to provide outstanding collections, excellent services, inviting spaces, student scholarships/awards and learning opportunities for students, faculty, staff and the community. The momentum in Titan athletics, through the scholar-athlete model is building! As our athletic program continues to grow, we wish to provide our student-athletes the resources to help them strive for excellence in the competitive arena. Your gift will provide invaluable support to our Titan teams. Your gift to the College of Liberal Arts and Sciences will support programs that provide students with the writing, critical thinking and information literacy skills that are critical to success in today’s job market. These programs are taught by faculty who have won over 150 Teaching Awards since 2000, and over 70% of the students they teach live and work in the region after they graduate. Endowed scholarships enable these students to broaden their horizons by conducting innovative research or studying abroad. By participating in community-oriented programs like the Civil Rights Heritage Center, the Center for Sustainability, and the American Democracy Project, they become active citizens with a lasting investment in the health of the region. Your gift, then—whether to the college, to one of its centers, or to one of its many merit-based scholarships—will not only enrich our students’ educational experience but also help to ensure a bright future for Michiana. Click here to find out more about the College of Liberal Arts & Sciences. The Indiana University School of Social Work, South Bend, is dedicated to educating professionals who will serve our community in schools, hospitals, child welfare agencies, mental health centers and other social service settings. Giving to social work scholarship funds supports the development of professionals who are deeply needed in our community to support children, families, the elderly, persons with disabilities, persons affected by mental illness, grief, loss, substance use, and those living without food or adequate resources. 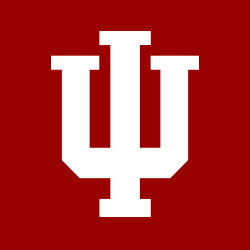 The Indiana University School of Social Work is a historic school that is the # 1 ranked school of social work in Indiana. Annually, South Bend social work students provide 82,480 hours of service to the community through their field internships. They graduate to remain in the community and to continue to serve others.